Nuts are proving to have amazing benefits on health. In fact, eating nuts on a daily basis make you less likely to die from any cause. This is the finding of a study that appeared in The New England Journal of Medicine. The study analyzed results from two large, independent cohort studies of nurses and other health professionals. For this study, the Harvard scientists analyzed databases from two well-known, ongoing observational studies: The Nurses’ Health Study and The Health Professionals’ Follow-Up Study. Together they provided data on 118,962 people. The data for the first study was collected from 1980 to 2010 and for the second study from 1986 to 2010. The scientist found that people who ate a daily handful of nuts were 20 percent less likely to die from any cause over a 30-year period than those who didn’t consume nuts. What’s more, people who regularly ate nuts were found to be more slender than those who didn’t eat nuts. The scientist specifically wanted to look at death from any cause. They found that eating nuts reduce the risk of most major causes of death among both women and men including cancer, heart disease, and lung disease. They found an 11 percent reduction in the risk of dying from cancer. The study didn’t look at the protective effect of different nuts. Nuts are nutrient-dense foods with a range of benefits on health: they are rich in unsaturated fatty acids, high-quality protein, fiber, vitamins (e.g., folate, niacin, and vitamin E), minerals (e.g., potassium, calcium, and magnesium), and phytochemicals (e.g., carotenoids, flavonoids, and phytosterols). They are an excellent source of fiber for the whole family. For this study, the scientists used advanced data analytics to rule out other factors that might have accounted for the positive effects on mortality rates. For example, the researchers found that individuals who were nuts eaters also tended to be non-smokers, and were more likely to exercise, take multivitamin supplements, be fruit and vegetable lovers, and drink less alcohol. However, the scientists were able to allow for these factors in drawing their conclusions. The study results showed that the more nuts people ate, the less likely they were to die over the 30-year follow-up period of the study. Those who ate nuts less than once a week had a 7 percent reduction in mortality; those who ate nuts once a week, had an 11 percent reduction; those who ate nuts two to four times per week, had a 13 percent reduction; those who ate nuts five to six times per week, had a 15 percent reduction; and those who enjoyed nuts seven or more times a week experienced a 20 percent reduction in death rate. 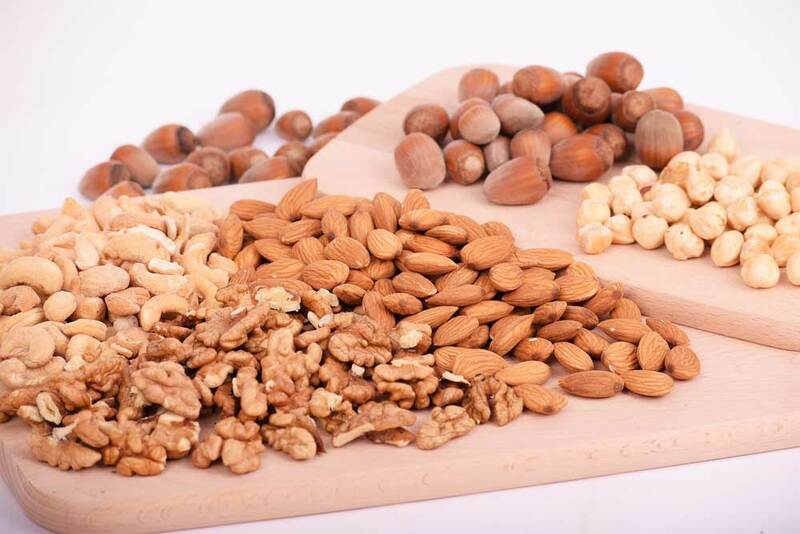 The scientists pointed out that this large observational study established associations and not cause and effect between nuts and their benefits on health. They also pointed out that not all findings from observational studies have been confirmed in controlled, randomized clinical trials. Although we cannot say for sure that nuts are so healthy that eating them will definitely let you live longer, these findings are strongly supported by other observational studies and clinical trial data. For instance, a 2017 study by the department of nutrition at Harvard T.H. Chan School of Public Health found that people who regularly eat nuts of all kinds are less likely to develop cardiovascular disease or coronary heart disease compared to people who never or seldom eat nuts. Health Professionals Follow-up Study (1986–2012). An earlier study in 2015, conducted at Maastricht University in the Netherlands also found that consuming nuts may protect against death from numerous diseases, including cancer, heart disease, and diabetes. The study looked at peanuts – classified as a legume – tree nuts and peanut butter. Peanuts and tree nuts reduced the risk of mortality, whereas peanut butter did not. The study results showed that people who eat about 15 grams of nuts every day (that’s about a half a handful) were better off health-wise than people who don’t eat nuts. The nut eaters were at a lower risk of death from numerous diseases, including cancer, diabetes, respiratory disease, heart disease, and neurodegenerative disease. In the light of these and other scientific findings, the U.S. Food and Drug Administration (FDA) suggested in 2003 that eating 1.5 ounces (42 grams) per day of most nuts may reduce the risk of heart disease. So, go ahead! Enjoy those nuts. You have every reason to.